Take a look at our guide to learn about the necessary steps in finding a missing person. is the goal of RA Missing People. We strive to provide much-needed knowledge, support, and resources to assist in bringing our loved ones home. Nearly 2,300 people go missing a day. Help us in the fight for the missing. Sign up to learn how you can help families bring thier loved ones home. Steps & Tools to help bring your loved ones home. Volunteer or become a member to get involved. Donate to help us continue to bring missing people home safely. 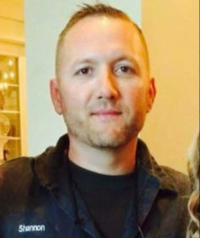 39 year old missing from Many, Louisiana. Any Donations will go to RAMissingPeople to help establish our organization and continue to fight in the search for the missing.